The problem is that they are often stripped of their nutritional benefits, sugar and sugar substitutes are added, and they contain chemical preservatives which may not be healthy for you in the long term. What’s the solution? Juice at home. Our top pick is the Omega Nutrition Center Slow Speed Masticating Juicer. With the ability to create nut butters and more, it produces a high juice yield simply and quietly with minimal fuss. This is the ideal unit for any at-home juicer with a modest budget. In this guide, we will cover what we consider to be the best juicers for juicing at home. 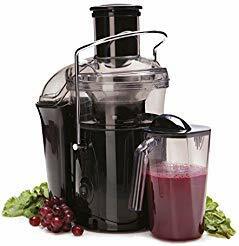 In our juicer reviews, we will look at the pros and cons, ratings, and comparisons to help you make an informed buying decision. 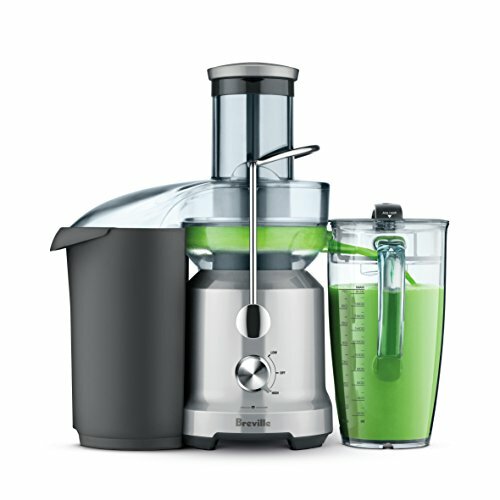 What Is The Best Juicer For The Money? This is a highly subjective question, and the answer will be different based on what you need the juicer for, what your expectations are, and what your budget is. 1. What are you intending to juice? Soft fruits like pears or hard vegetables like carrots? Do you intend to juice wheatgrass or other leafy greens? 2. What is your current lifestyle like and do you see that staying the same or changing in the future? What health benefits are you hoping to obtain? 3. Do you need your juice quickly? Remember that speed of creation does have an effect on the quality of the juice. Do you have the time? 4. Pulp! Do you need the pulp in your juice for the extra fiber? Do you need the pulp completely screened out and as dry as possible? 5. How much can you afford to spend on a juicer? High-quality tends to come with high-cost, so know your budget before you go looking. Be sure it will continue to meet your needs five years into the future. If you are new to the concept of juicing, investing in a masticating or triturating juicer may be a great option. They produce juice that lasts longer and manual juicer models may impact your personal budget less than electric models. What’s oxidation, and why does it matter? If you’ve ever sliced an apple only to see it turn brown, you know the damage caused by oxidation. 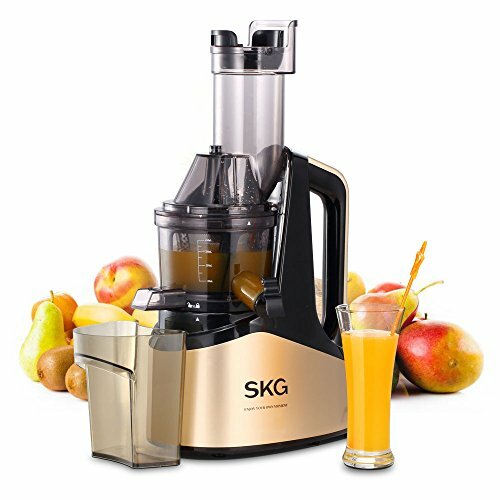 The SKG slow masticating juicer grinds your produce slowly. It uses a 60 RPM motor which doesn’t heat your produce as it grinds it, so oxidation doesn’t occur. It works to slowly crush fresh juice from produce, resulting in a fresher juice with great taste. For pulp lovers, this juicer will create a hearty drink. If you don’t care for pulp, you will want to filter your fresh juice before bottling. This unit has a very small footprint – only 6 x 9 inches – but stands 18 inches tall. This may be too tall for you depending on your height and countertop height. The 3-inch insertion chute gives you plenty of space for the largest produce. There is a reversal button to help you clear jams, and if the machine becomes clogged or overloaded, it will power down for an hour rather than burning up. The Breville JE98XL features a high and a low setting. Tender greens and citrus fruits will work well on low. More dense produce can be thoroughly juiced on high. This unit features a 3-inch food chute, so apples, beets, and pears should fit with no chopping. The Breville offers great flexibility. If you plan to compost your pulp, you can line the container with a plastic bag for an easy transfer to the compost container. If you don’t keep things clean, it’s possible for pulp to splatter from the unit in both the entrance and exit. This unit features a simple cleaning brush to make sure you’ve removed all pulp from the blades and filter. Once you’ve got the unit disassembled and rinsed, it can all be washed on the top rack of your dishwasher. If you’re not a fan of pulp in your juice, there is a mesh filter to reduce the amount that sneaks through. On the downside, the amount of juice produced seems to be less than some other models and it tends to be rather noisy to operate. The juice jug of the Breville offers a froth separator to make sure you get to enjoy pure, sweet juice without air. The pitcher itself will hold a liter of fresh juice for easy separating and storage of your juice. 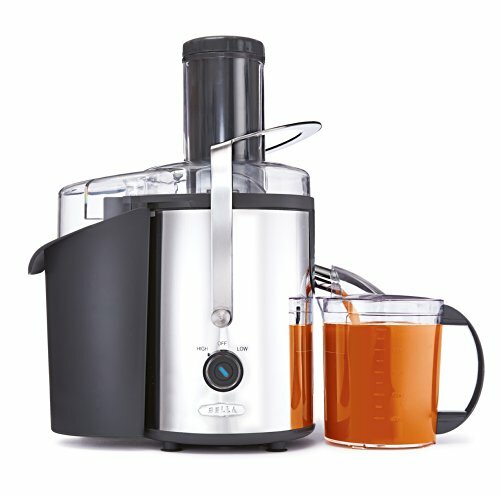 The Jack Lalanne SLH90 is an ideal juicer for any household. In addition to a wide shoot – ideally suited to fibrous produce including carrots and apples – it has a slower grinding speed for softer fruits such as oranges for juicing. This unit includes the Ultimate Juicing Book Guide for flavor combinations and optimum nutrition. If you’re interested in using your leftover pulp for other cooking projects, the Lalanne juicer would be a great fit for your kitchen. It produces a very dry pulp while extracts fresh juice for your enjoyment. The Jack Lalanne packs a lot of juicing power in a small package. It’s only 14 inches tall fully assembled, so you can easily find a spot on the counter for it or tuck it away in the cupboard. It seems a shame to store it, however. The negative aspect of this unit is that it has quite a few separate parts, so is a bit fussy and fiddly to clean. It’s also a tad tricky to assemble. Because of its lower power, it also tends to clog up quickly. You can get this juicer in modern black, fashionable stainless, and retro aqua. The Champion juicer is an extremely heavy duty grinding tool that you can use for juicing or making nut butter and sorbet. This tool is extremely simple; simply change out the cover from strainer to solid and you can easily move from juicing to grinding nut butters. This is a heavy unit; more than 26 pounds. While it won’t require a lot of storage space, you will want to avoid keeping it in a high cupboard. It should be noted that the Champion GI-NG-853S is built a bit low. It’s only 11 inches tall, so slipping a pitcher or tall glass under the spigot could be a challenge. Be sure to use a wide mouthed vessel to collect the juice you’ve just created. This juicer is not dishwasher safe and the clean-up process can be time-consuming. The Omega J8006 juices at low RPMs for cold juicing. The dual step process makes it possible for you to extract plenty of nutritious juice from the pulp. In addition, because this tool is a grinding juicer, it can be used for other homemade healthy treats, including freshly ground coffee, homemade nut butters, and sorbet. 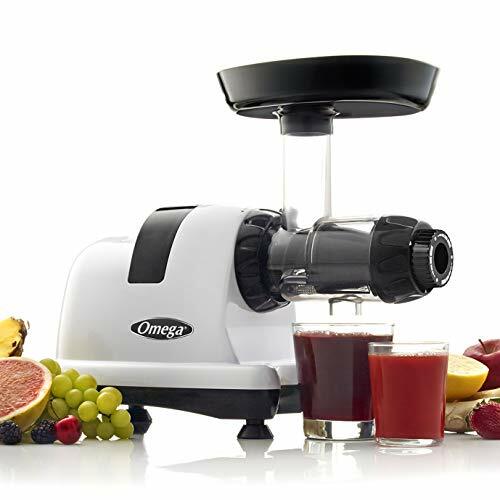 This Omega juicer features a wide food shoot with a small tray at the opening, so no matter what you’re juicing, you can keep on feeding fresh produce through this versatile machine. However, although it’s wide, note that it is a little smaller than some of the other reviewed models. You’ll also need to feed the produce through the chute slowly. The dual stage juicing system will lessen the risk of pulp in your juice and make sure you’re extracting the healthiest possible beverage. We love the quiet operation of this Omega juicer, especially when compared to other centrifugal juicers. Be aware that you can get an Omega J8006 in several colors, including lime, purple and aqua, so no matter your decor, your juicer will match! The Bella 13694 is a chopping juicer and works efficiently by rapidly chopping up any produce fed to it through the stainless chopping blade. This tool features a detachable pulp container. Additionally, though your juice may contain pulp and some froth, you can be certain of serving pure, sweet juice thanks to the micro mesh filter. The Bella 13694 can be easily disassembled, and nearly all of it can be cleaned up in your dishwasher. 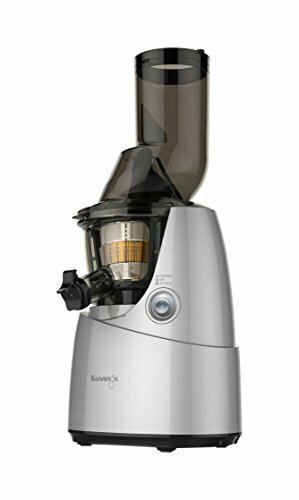 This unit includes a one-liter pitcher for capturing fresh juice and has a removable pulp container with micro mesh filter. The wide mouth for produce can handle an entire apple whole, so your juicing routine will be quick as it requires little prep work. The Bella has a high and a low setting, so from strawberries to carrots and any texture in between, you can be assured of a consistent juicing texture. This unit offers a locking handle to secure the lid and food shoot as well as rubberized feet to keep it stable on your countertop as you work. It should be noted that while many parts are said to be dishwasher safe, we have found the plastic chutes and other components may fail after a round in the dishwasher. Dishwasher heat can be brutal! Kuvings juicing technology works by crushing produce, rather than chopping it. This reduces oxidation and delivers the healthiest possible juice serving right to your glass. The blade of the Kuvings juicer does not spin and cut or chop the produce so juice can be extracted but grinds it. You will not have to worry about this blade going dull, and the large food chute makes it fast to use and easy to load. Finally, if you add frozen fruit to the Kuvings juicer, you can make your own sorbet! While the Kuvings is a very versatile tool, it should be pointed out that long-term storage could be a challenge. The unit stands nearly 18″ tall, so it may not fit under a standard kitchen cabinet. Additionally, this unit weighs in at nearly 15 pounds, so storage in lower cabinets is recommended. It is easy to assemble and super-simple to operate, with the added bonus of a handy recipe book, however, the discharge chute can be difficult to clean even when you use special brushes. If fresh-squeezed orange juice or grapefruit juice is your favorite treat, the Juiceman JCJ150S is an ideal tool for your kitchen. 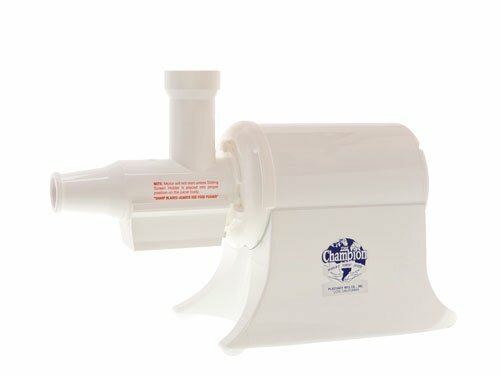 This unit offers two juicing cones so both large and small citrus fruits can be easily juiced. It’s important to note that this tool is built for soft citrus fruits only. If you’re planning to juice more dense produce such as apples or carrots, this unit is not your best choice. However, this little juicer will brighten dreary winter mornings when you fill your glass with fresh, sweet orange or grapefruit juice. Because there aren’t too many parts, it’s easy to clean, and operation is nice and simple. Annoyingly, the juice reservoir is a tad small and the unit can get clogged up even after juicing just a single piece of fruit. If you enjoy exercising while you juice, check out a Lexen GP27! This manual tool is easy to set up and mounts to your counter or table; then load it with fresh produce and crank away! It weighs under four pounds and is easy to store. The Lexen GP27 features a flared hopper for easy loading. Taller foods such as wheatgrass will stand up easily until you start cranking, and smaller greens can be easily fitted into the hopper as well. While the manual cranking action of the Lexen GP27 may seem a bit rustic, this unit is extremely easy to take apart and clean. Additionally, if you’re juicing wheatgrass, you want to keep an eye on it, and high-speed juicers may pulverize wheatgrass. However, tough fibrous produce like beets or apples may not work at all, and if they do, you’ll be at it awhile. 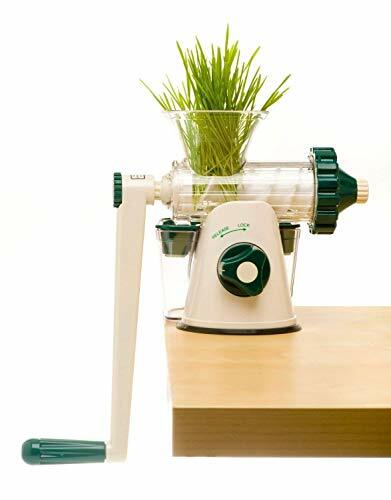 Although this is a specialized juicer exclusively for wheatgrass and doesn’t need to be heavy duty, we do worry that it is made from a lot of plastic; consequently, it may not be as long-lasting as other models. 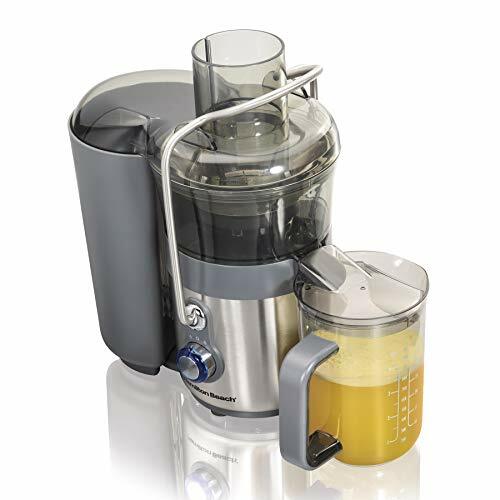 The Hamilton Beach 67850 offers dedicated juicers plenty of flexibility. The juicing blade is a spinning bowl that easily chops any produce you add to the large food chute. There is plenty of space in the pulp hopper, and the juice pitchers attaches directly to the spout so you will not lose any of your fresh, healthy juice. To help with cleanup you can line the pulp hopper with a plastic bag and discard it when finished. The 67850 offers two speeds, so soft produce such as oranges and strawberries will work well in this juicer, although we notice it can miss smaller pieces of fruit. Finally, when your juicing session is done, cleanup is a breeze. Hamilton Beach has designed a cleaning tool that brushes out the bottom of the cutting blade while clearing away pulp from the side. And once you’ve got your juicer taken apart, the whole unit will go right into the dishwasher. Juicing is a fantastic way to get full nutritional value from your food, making your fruit and veggies give you more for your money and be super healthy without feeling like you’re missing out on delicious treats! There’s a juicer available for every need; whether you want to do a full-on juice fast or just start every day with fresh OJ. In this guide, we explored some of the top-rated juicers on the market for home use. While no juicer is without flaws, we hope we were able to help you make a more informed buying decision.